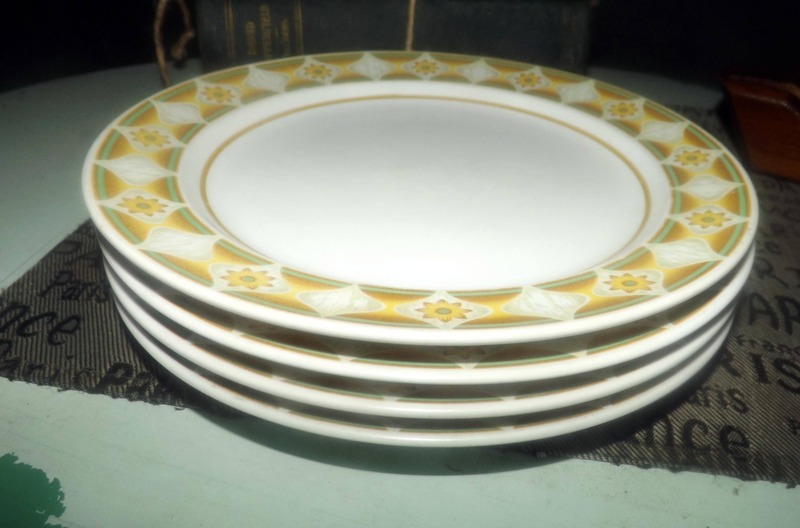 Vintage (1970s) Noritake Sunglow 9042 pattern salad or side plate. Yellow, green florals and bands. Progression stoneware made in Japan. 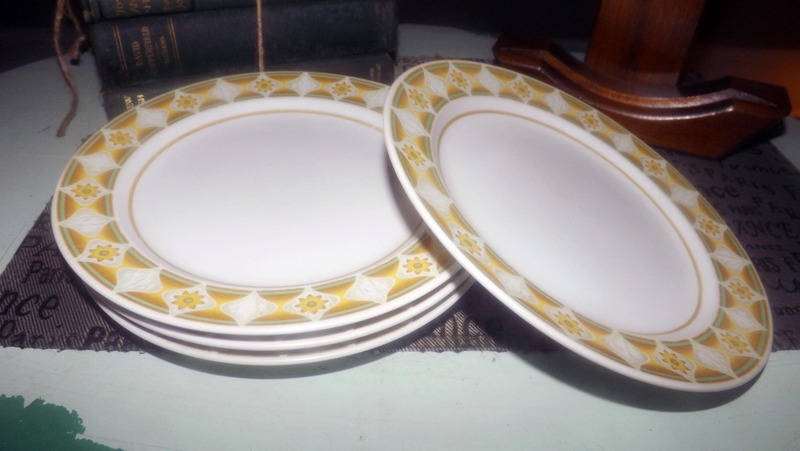 Vintage (1970s) Noritake Sunglow 9042 pattern salad or side plate. 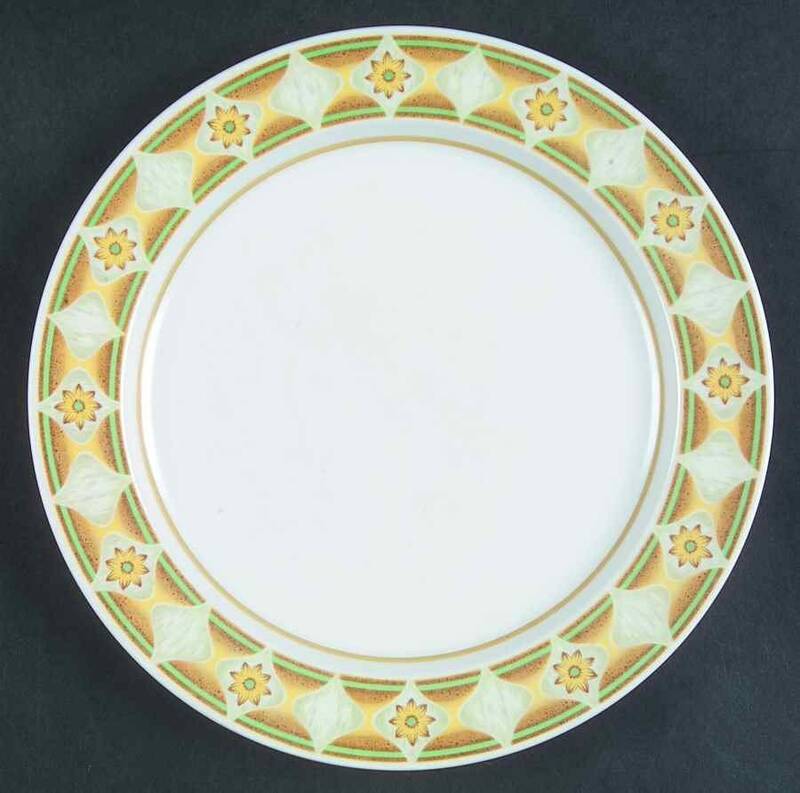 Made in Japan for only a brief time (1972-1979) and part of Noritake's Progression line, Sunglow 9042 features a band of yellow flowers and bands about rim with a gold band about the white center of the plate. In EXCELLENT! condition with NO! chips, nicks, cracks or fleabites, NO! crazing, NO! loss to the gold band about the center of the plate and NO! marks or scratches. There are a few VERY LIGHT! utensil marks to the white center of the plate (please review each of the posted photos for a complete visual of the item). Approximate measurements: 8" in diameter with a smooth edge.